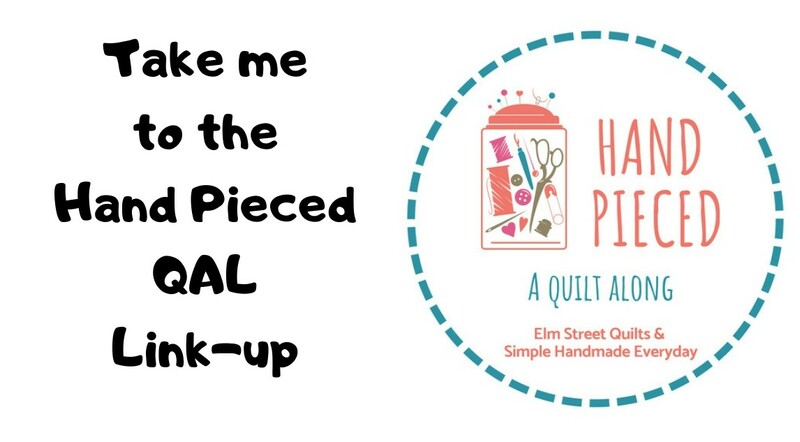 When it came time to assemble the quilt top, I debated (and debated) with myself on what to do. The original layout is just lovely but the resulting quilt is bigger than I wanted to quilt on my domestic machine. I laid the blocks out on the floor and walked around them for days trying to decide what to do. I actually started sewing one layout using just the larger blocks but then realized (eek!) my math was wrong and the dimensions of the final quilt wasn't going to work. Out comes my seam ripper and back to the drawing board. 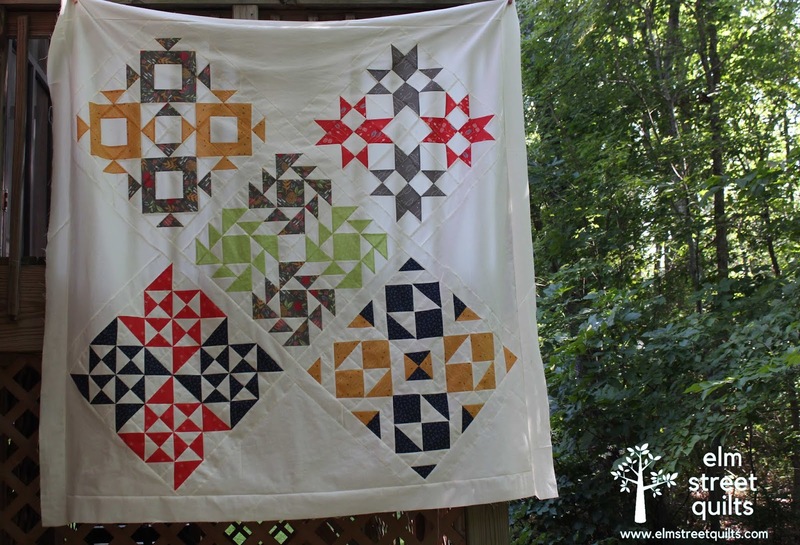 This layout yields a quilt 64'' square which is just the perfect size! With the QAL, there were 6 large blocks in total and the 6th one will become a matching pillow. 4 of the 6 smaller blocks are on the back. The quilt is all basted and the quilting is underway! I am doing a combination of straight line stitching on the diagonal and then some FMQ. I am about half-way on the straight line quilting. I'm gifting this to my daughter as a couch quilt is celebration of her new apartment at school with her oldest girlfriend. Its a surprise though - don't tell her! You can ready more about the QAL and get the finishing instructions on the Jolly Jabber and read more about the Clementine QAL. Patty love your setting of blocks. Am interested in seeing the completed quilt and the smaller blocks on the back. Beautiful quilt top! I am glad you were able to create a new arrangement that worked for you. Your daughter is very lucky to be the future recipient! That turned out really nice. I know she will love it. Looking good, Patty! 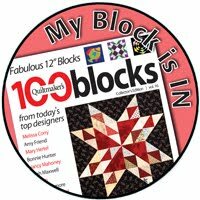 I love these blocks! What a fantastic setting for the blocks. I bet your daughter is going to love it! 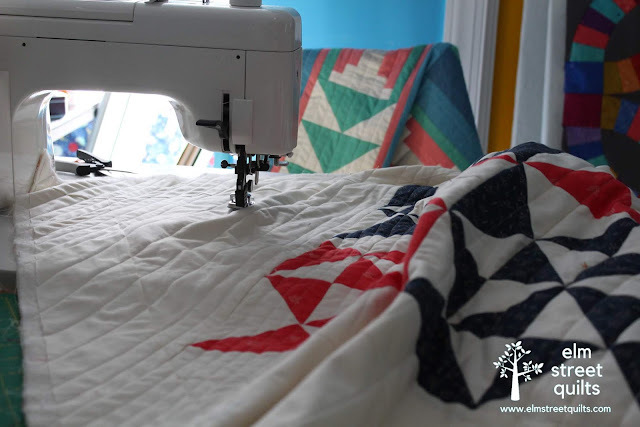 Double Windmill quilt - want to make your own? 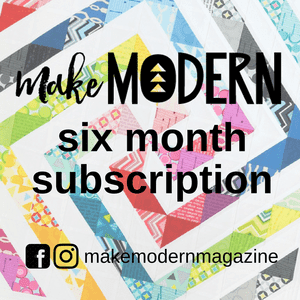 My First Quilt in a Magazine!